The Epic Action Packed Race 3 Trailer is here! We have your first look at the action of Race 3! Starring Salman Khan in his most controlled cool action-ness the casts also boasts actors like sauve brilliance of Anil Kapoor, gorgeous and now action star Jacqueline Fernandez, back to fit and action packed and looking fine Bobby Deol, lovely and strong Daisy Shah, along with the most excellent Saqib Saleem & Freddy Daruwalla. Gear up because this is not to be missed! The Race has begun and the road ahead is full of twists & turns. 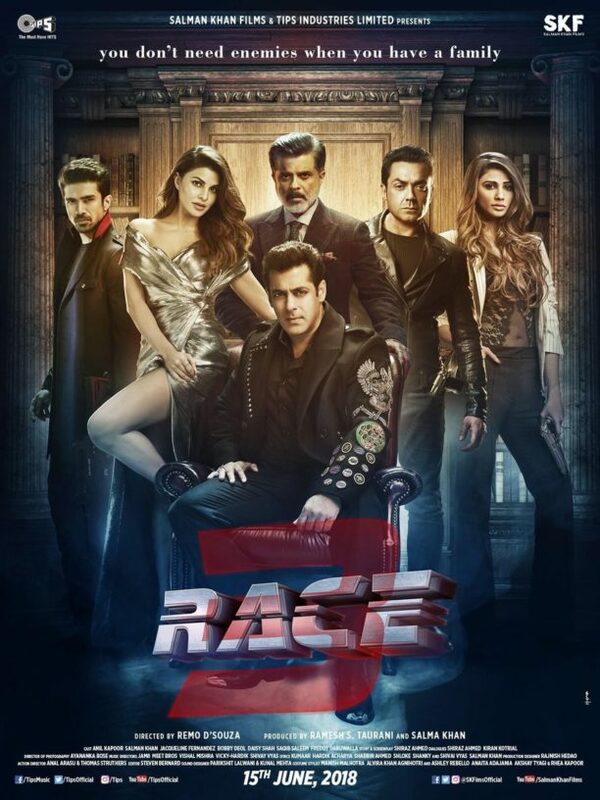 With the tagline ‘You don’t need enemies when you have family’, and with action, adventure, fights, romance and everything in between Race 3 looks to be an epic. Directed by Remo D’Souza, Race 3 will be in cinemas 15th June 2018. And we have just learned it is in 2 and 3D!